NEW BRITAIN - The Garage Dance Studio will introduce dance classes for children at the start of the next school year during after-school hours. “I never thought it would be so much fun,” Muna Swairjo, owner of the studio at 1385 East St., said. Children 4 to 18 will be able to take the classes, which will be divided into three age groups. On Aug. 25 and 26, the dance studio will host a special workshop with Fabian Salas and Lola Diaz. Salas is one of the pioneers of tango nuevo and one of the actors in the movie “Tango Lessons,” Swairjo said. Registration is now open for the event. 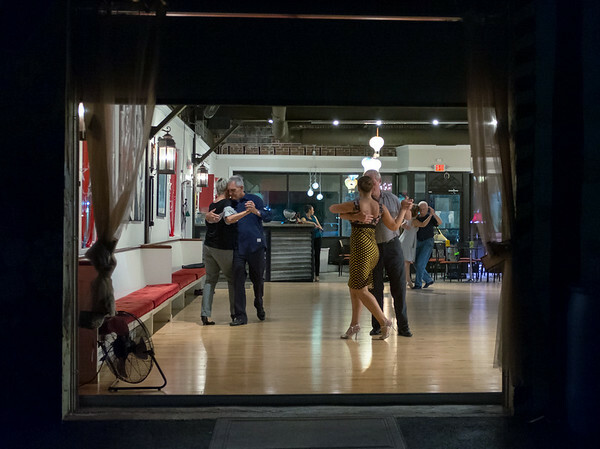 The Garage Dance Studio was opened in March 2016 by Swairjo, who has been a tango instructor for five years and a tango dancer for 15. Swairjo told The Herald that the studio hosts teachers from around the world and is growing more quickly than expected. The dance studio welcomes short- and long-term students, and it offers classes for social gatherings such as weddings and anniversaries. The Garage Dance Studio features special events throughout the year, such as a tango festival, live bands, workshops, body conditioning programs and educational documentaries and films on the history of dance. Larry Spence, 77, of Avon, is a tango student at the studio. He said he likes the ambience and said that his tango lessons help him be well intellectually. The dance studio is open Monday through Friday from 2 to 10 p.m. Occasional classes are held on Sundays from 5 to 7 p.m.
For more information about the Garage Dance Studio, visit the website at garagedancestudio.com or call 860-505-8194. Posted in New Britain Herald, , on Tuesday, 10 July 2018 20:01. Updated: Tuesday, 10 July 2018 20:03.